I've been singing Frosty the Snowman since starting this challenge. 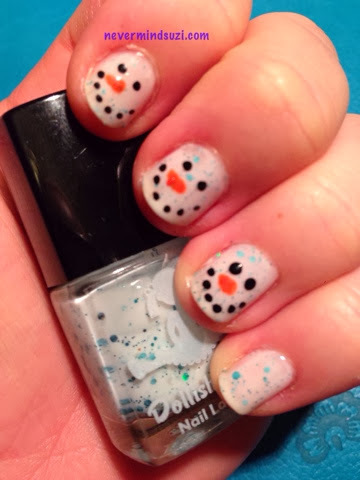 I used the gorgeous Expecto Patronum by Dollish Polish as the perfect wintery base. They're such happy looking chappies! 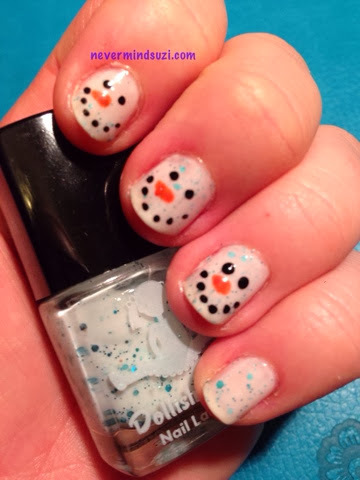 The sweetest and the blue glitter is great for snowmen!